If you were gaming back in 2009, you know that this was a great year for those fond of spending quality time with video games. After all, 2009 saw the release of Rocksteady’s superb Batman: Arkham Asylum game, Ubisoft’s phenomenal Assassin’s Creed II, Call of Duty: Modern Warfare 2, and top action and adventure game Uncharted 2: Amongst Thieves, amongst other greats. Also, Canadian game developer Bioware caused a sensation in late 2009 with Dragon Age: Origins. This was considered to be the best game of the year by quite a few, and is a fantastic role-playing game full of great characters and quests to tackle. Plus, its fantasy world of Ferelden is one of the best-realised video game settings ever, while the game also boasts more than one memorable villain. However, a game of Dragon Age’s size and complexity was bound to ship with a few bugs, and thankfully Bioware fixed many of these in a series of patches which came out after the game’s release. Some glitches remained in the game and never got fixed though, so it’s a good thing than one enterprising user has set out to stamp out every single bug in Origins, plus has restored content that was cut from the game due to budget and time constraints too, as was recently covered on PC Gamer. Amongst the hundreds of bugs fixed include a camera fix to prevent character’s faces being obscured in some conversations, as well as quest and dialogue bugs, and others. Additionally, eighteen conversations between party members that would not play in the game can be heard now. You also have more ways to steal a key game item (the teyrn’s crown), while you can now get your hands on thirteen in-game items which were previously unobtainable in this Dragon Age game. 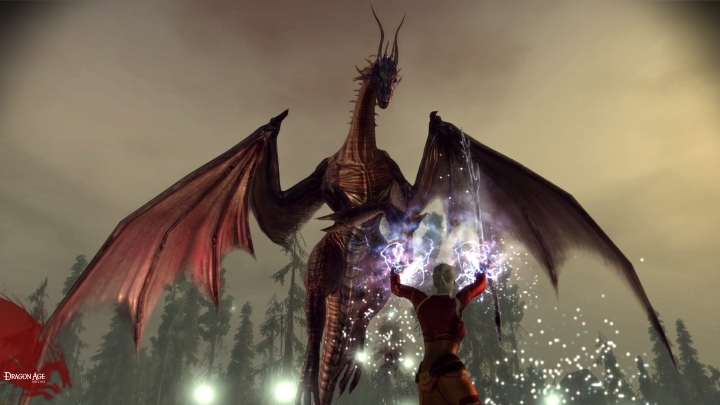 Dragon Age: Origin fans looking to replay the game and those yet to dive into Origins’ fantasy world of Ferelden might want to take a look at this fan-made patch then, which is available for download on PC here. Also, Bioware has revealed that a new Dragon Age game is in the works now, so stay tuned to this website for further news about this upcoming fourth entry in the Dragon Age saga as they become available.